Bethany provided an entertaining and highly informative tour that gave us a good sense of Savannah. She is steeped in Savannah's history and provides an interesting insight into Savannah's culture. She has a ready wit and is generous with her time. Her tour enriched our Savannah experience. We highly recommend her. Bethany was incredibly kind and friendly. She greeted all of us with big hugs, and I really got the feeling she was looking forward to the tour as much as we were. She was born and grew up in Savannah, knew everything about her city, and as a black women who went to school during the segregation/desegregation years, she had great stories. She was kind and friendly, funny as all hell, and, brilliant. She was, a great story teller, and a true Savannah treasure. TOUR GUIDE RESPONSE: Thank you Russell. The truth is that you help make the tour. Doing is tour is like hanging out with good friends when I have folks like you. Bethany was very knowledgeable regarding Savannah. We had the best experience. She was wonderful. We would recommend her to anyone. We made a very personal connection with her. TOUR GUIDE RESPONSE: Barton and Susan are the cat's meow! I had a blast with the two of you. Thank you!!! Bethany was very informative about African American History in Savannah, Ga plus around the world. We really enjoyed the tour and all of us learned something from 14-80. She was very professional and personal at the same time. She knows her history and touched our hearts. We highly recommend this tour. Loved her personality, she knows how to get your attention and hold it. TOUR GUIDE RESPONSE: Thank you Mrs. Bernice. I truly enjoyed touring Savannah with your group. We had a LOVELY tour with Bethany. She provided just the right amount of driving and walking in order to really see and enjoy Savannah. Her stories allowed us to really understand the history of the city and its people. We started and ended at a bakery/cafe (Mate' Factor) and Bethany made sure we left with a couple of its famous cinnamon rolls!! This is the first time we have used Tours By Locals and we saw Bethany's high ratings so we hired Bethany for two days to see Savannah. WOW...Bethany made our trip! We are three gals and one of us is 88 yrs old, so we needed some patience and flexibility and Bethany was fantastic. We saw so much of Savannah we never would have seen on our own. We enjoyed her wealth of knowledge. Bethany is native to Savannah and she shares so much of her understanding of the city and her personal stories. Top experience! TOUR GUIDE RESPONSE: This was my 1st two day tour. It was more fun than I can say-total joy. Thank you for your kindness and Generosity Deb, Molly and Aileen. With you, my work didn't feel work. Bethany was delightful. Lots of history and local knowledge. We would recommend highly to anyone wanting a lovely stroll through the historical district. TOUR GUIDE RESPONSE: Thank you Robert and Margaret. I really enjoyed the 2 of you. Have fun in City Market and at Clary's on Abercorn if you decide to go. Wonderful time with Bethany! Learned so much from her - was the best day of our trip! Great tour, knowledgeable. Would recommend to anyone I know coming to Savannah!! Bethany is the best tour guide EVER! She is so knowledgeable of Savannah's rich history and appreciates all that has happened in the past and is able to share how the past plays an important role in current times. Bethany was so warm and welcoming to me and my family. She truly made the tour feel as if we were part of her family. I wish I could visit with Bethany daily. She really makes me appreciate life and all that it has to offer. If in Savannah, you must tour with Bethany! You won't regret it! TOUR GUIDE RESPONSE: Thank you so much William. I enjoyed all of you. The joy was mine. I really look forward to seeing you at the end of the month. TOUR GUIDE RESPONSE: Thank you Dary and Mark. You are so generous. I had an absolute blast with you two. We have been using tours by locals for several years and have always been very satisfied. Our tour with Bethany today was terrific. She was interesting, knowledgeable and a delight to be with. Booking a tour with Bethany is a great way to see Savannah. Bethany was great. Very knowledgeable on city history, added personal anecdotes and provided us with a good restaurant for Valentine's day. We left Jekyll Island where it was warm & dry and arrived in Savannah where it was cold & damp, so we were improperly dressed for our walking tour with Bethany. Bethany graciously took us to a shop where the store clerk found everything needed to stay warm & dry on our fun & educational tour. Bethany was born and raised in Savannah, so she was able to share personal experiences of living in Savannah, and the cultural & social changes that have occurred over the years. Bethany is an outstanding guide! TOUR GUIDE RESPONSE: Thank you so much Jennifer and the family. I really enjoyed you as well. Tell Ethan and Max I hope this new semester is great for them. New Years wishes of good health, peace and prosperity to you all. I am glad you were inspired to add an extra day. Bethany is amazing. She gave an entertaining fascinating tour and made all the adjustments to give us an incredible experience when we were challenged by bad weather. Hated to see the tour end. Bethany was great! Very knowledgeable about history of savannah. I highly recommend this tour! Bethany was Awesome! We learned so much about Savannah so quickly. It a perfect pace for our family. It felt like a walk around the neighborhood with super knowledgeable friend. We highly recommend!! Great tour! Bethany was wonderful and fun. Will definitely book a tour with Bethany again when visiting Savannah. Bethany is so much more than a tour guide. She's a beautiful woman who has endless knowledge about the City of Savannah, its people, its traditions and its legends. She is an extremely warm individual that gives so much of herself during this tour, you feel and see things through her eyes. I highly recommend this tour. We loved Bethany! She is extremely knowledgeable and very kind! She gave a great tour and we got to see everything we had on our list! Wish we had someone like her on every tour. Bethany was an amazing resource full of enthusiasm and knowledge of Savannah! Time flew by as she answered the many questions we asked ( per her request), she did not make up answers and if she did not know it she said so. A great ambassador for Savannah with a huge amount of local history that gave us a better appreciation for this great city! Bethany was a "Mary Poppins" guide as in "practically perfect in every way." She grew up in Savannah and is a positive wealth of information about what it was like to grow up there in the 60s and 70s. We all wished WE had the pleasure of doing by the end of our tour. I especially appreciated her take on the movie "Midnight in the Garden of Good and Evil" and the little coffee shop we visited. We had a fabulous time. Bethany's tour was such a highlight of our trip! My mother and I absolutely loved spending the morning with her learning about Savannah's history and architecture. She knew almost everyone on the streets and was a joy to spend time with. Her love of Savannah was infectious and we would highly recommend her tour to everyone. If I get to come back to Savannah, I will do my best to book Bethany Joyce for another tour. 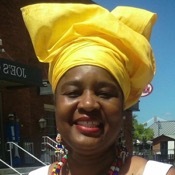 She is very personable and has a vast knowledge of the history of Savannah. I highly recommend the personal touch with this tour as there are just a small number of people, so it is easy to ask questions and hear all the history. Bethany was very accommodating for my parents, too, particularly for my Dad who has slowed down in his later years. My parents have talked about this tour for the remainder of the trip! This was an astounding experience! We asked Bethany to configure an all-day walking trip for us and we were amazed by what she delivered. We know Bethany does short tours, but we specifically asked for a longer version so we could experience Savannah to the max! We started at our hotel at 9, walked for a few hours, stopped for a delightful lunch and then resumed our walking tour finishing about 3. Bethany's knowledge of Savannah, its history, its people and its quirks was a limitless. Bethany's personality, education, and background make her the ideal tour guide for Savannah. We (2) only had a limited amount of time (2-1/2 hours), between arriving at SAV, renting a car, making it into town for a tour, and heading to Hilton Head to meet friends for dinner, and Bethany made every minute of our driving tour informative, with an occasional and welcome walking/snack break. Near the end of our tour it started to rain, so the tour in her vehicle proved an especially good choice. Recommend! She is smart, knowledgeable, a great story teller and a bright personality. Bethany is the embodiment of all that makes Savannah appealing.She is charming, intelligent, knowledgeable and beautiful to behold. Her warm and generous spirit made our group so comfortable, we could would have followed her around all day.Cannot recommend her high enough. Truly a highlight of our group's trip. TOUR GUIDE RESPONSE: Karen and the Crew. Thank you so much for making what is work for others, fun for me. I had a blast. You New Yorkers kept me on my toes. Take good care. Bethany Your TBL guide in beautiful. Bethany was very friendly,informative and gracious. Her knowledge of local history was vast. Being a local was important as she knew people and places from being raised in the city. TOUR GUIDE RESPONSE: Thank you Dennis. Your tour was a major highlight in my week. Tell the crew -Elaine, Terry and Jane hello for me. Bethany is a wonderful, personable and very good storyteller who is full of life! She has a welcoming and vibrant air about her that you can't help but love and intently listen to. 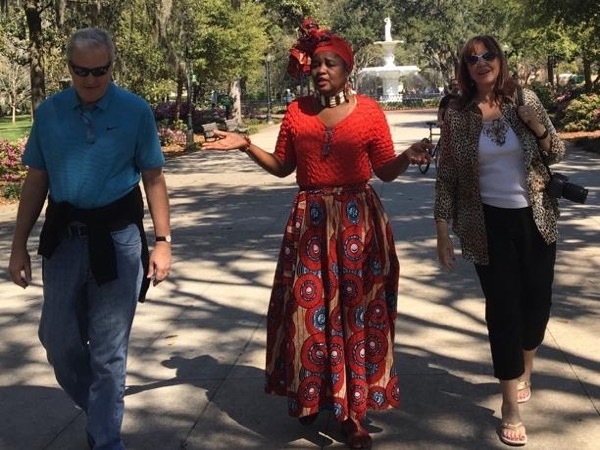 My colleagues and I asked for a custom tour to fit a very specific need and she was able to provide rich insight on both old and new Savannah in a way that was relevant to us and our specific questions. I would HIGHLY recommend her and I will surely reach out to her again the next time I am in town -- which I hope is soon! Perfect guide for our family of 4 from Australia. Bethany was fun, knowledgeable and passionate, and related well to us all individually, also telling many family stories from growing up here through changing times, which really rounded out the tour. Highly recommended! TOUR GUIDE RESPONSE: David, Kirsten, Nic and Vivian: I had a wonderful time with all of you. Happy New Year. I hope your family and friends had a wonderful time on your Colorado ski trip. Thanks for allowing me to share Savannah's beauty with all of you. TOUR GUIDE RESPONSE: Thank you Kathy. The joy was definitely mine. Bethany and her informative, entertaining tour was just what we were looking for during our limited time in Savannah. Bethany is a breath of fresh air - a smiling personality full of positive energy and pride for the town she grew up in. She is equally versed in the Civil-War era history as well as Savannah's modern elements. It is apparent she is always learning more. Finally, our daughter is interested in living in the South, so Bethany tailored the tour with that in mind. Wonderful guide! TOUR GUIDE RESPONSE: Thank you David. I enjoyed all of you. Remember, there a few "Savannah Homes" available. Kelly can come anytime. How was the wedding? This was such an interesting tour! Bethany is very knowledgable and has a great personality. We all enjoyed it a lot and learned many new things about the area. TOUR GUIDE RESPONSE: Thank you Christina. I really enjoyed all of you. Please say hello to Joe, Sara, Jackie and your mom. You do an awesome job of keeping everybody together. Please call me whenever you're coming this way again. TOUR GUIDE RESPONSE: Thank you Keith for allowing me to share in your visit in Savannah. Say hello to John and your wife. wonderful experience; our guide Bethany was beyond our expectations - a wonderful person - was so very knowledgeable and was very interested in our questions and comments. And - she took us everywhere - and told us the real stories behind the sites - great! TOUR GUIDE RESPONSE: Thanks for a great day Bruce. Hugs all around. We had a wonderful tour of old Savannah, filled with history and personal stories. Bethany was a delight. We could not have been more pleased! TOUR GUIDE RESPONSE: Thank you for your rating Jacques. I hope the remainder of your travels were great. I enjoyed chatting with the three of you during our walk. This was the first trip to Savannah for my wife and I and we were looking for a local guide as they can share more that just the sights and history of local landmarks. Bethany hit it out of the park. Her experiences of growing up in Savannah provided depth to the historical importance of what we discovered to be a wonderful city. My wife and I thoroughly enjoyed our full day tour and spending the day with Bethany. TOUR GUIDE RESPONSE: Thank you for your gracious review and rating. I had a wonderful time with the two of you. Hugs to you and Pam. I love the tour guests who feel like old friends. That would be you two!!! Thank for choosing me. Bethany Your TBL guide in beautiful Savannah. Our experience with Miss Bethany was spectacular. We often take private tours through Tours by Locals and have to say this time and this tour was one of the finest taken. Bethany's demeanor, attention to detail, kindness, charming personalty and city knowledge are outstanding. We are now leaving Savannah with a magnificiant understanding because of her passion. She went above and beyond any of the tours we took. There is absoluely no comparison, she reigns supreme in this city and was one of the finest. What a town and what a lovely lady Ms. Bethany! we had so much fun and learned so much from her with such passion for her town. Can not wait to see her again soon! TOUR GUIDE RESPONSE: Thank you Maria. You're right! We did have fun. See you soon. We spent a beautiful, sunny morning with Bethany and could not have asked for a more intelligent, informative or enjoyable tour guide. Bethany, a Savannah native, shared stories of her own past growing up in Savannah, recounted the history of her city, and provided social and cultural observations and insights into the (relatively) recent transformation of Savannah into a tourist destination. A great tour by a wonderful tour guide. We highly recommend joining Bethany for a walk around Savannah. Bethany was very knowledgeable and personable. The fact that my wife and I were the only participants on the tour made it more enjoyable. There was ample time for pictures and extra time at a certain spot if we chose. There is so much to absorb about Savannah's history that one could spend a week and not take it all in. We would recommend Bethany highly. She is passionate about her city and wants you to feel very much at home with her. TOUR GUIDE RESPONSE: Thank you so much for your kind words. I truly enjoyed you both. I hope your time down on St. Simon's was good. I want you to feel and remember some of what I love about Savannah. Bethany gave us a terrific tour of Savannah! She gave great insights into the history and the culture of the city. She was very interesting. TOUR GUIDE RESPONSE: Thank you Sharon. I felt more like I was hanging out with old friends than providing a tour for strangers I just met. TOUR GUIDE RESPONSE: Thank you for your kind words and for allowing me to share bits of Savannah's beauty with you. Bethany was a very obliging and helpful guide who knew her subject in great detail able to provide color with insightful anecdotes. Warm and helpful. TOUR GUIDE RESPONSE: Thank you for your graciousness. I truly enjoyed you both. As a Savannah native Bethany shared viewpoints and information that made the tour special. She is very knowledgable and the time just flew by. TOUR GUIDE RESPONSE: Thank you Barbara. Sharing Savannah with you and (Paul)? was my joy. I cannot say enough good things about the tour provided by Bethany. I contacted her to take my 93 year old mother on a tour while I was in town working. She was prompt and clear in e-mail discussions before the tour. She was more than happy to accommodate my special requests. Due to the weather the tour was all driving, it was too cold to for her to walk around. My mother just raved for days about all the interesting facts and things she learned. Thank you Bethany for the excellent service. We enjoyed Bethany's stories, especially about growing up in Savannah. We felt we really got to know someone who has seen it evolve over recent years. TOUR GUIDE RESPONSE: Jodie, thank you for the opportunity to share my Savannah with the three of you. I really enjoyed it. Say hello and happy holidays for me. This was one of the smartest decisions we made since it gave us an overview of the historic area and river front in the comfort of a vehicle (on our schedule).When we spent the rest of our visit walking, we knew our way around and exactly what we wanted to see and how to get there - best of all was the delightful Bethany , who was so knowledgable and gracious . To hear the history and inside facts from a local made all the difference - we will definitely call on her again when we are in savannah! This tour was the highlight of our trip! So glad that we did it on our first day. Bethany is a delight and provided us so much great information and insight into Savannah. She's a lot of fun and has great stories! In addition to our tour, she gave us lots of tips on other things to do and places to eat while we were in town. Highly recommend this tour with Bethany! TOUR GUIDE RESPONSE: Thank you Susan. Tell everyone "hello". I will look you up when I come your way. It was my joy meeting and touring with the 4 of you. How did Michael enjoy his R y J Romeo y Julieta? Bethany makes you feel like family!, she is warm, gracious and very knowledgeable about Savannah. Highly recommend. TOUR GUIDE RESPONSE: Thank you so much Bob. Say "hello" to Phyllis for me. I really enjoyed touring with the two of you. I will look you up when I come to New York and Jersey. TOUR GUIDE RESPONSE: Thank you Debra. I enjoyed you both. Delightful. She knew the city and history. An added bonus was info about the part her family had played and their contributions. Bethany's tour was superb. Not only was she interesting and informative about the history of Savannah and its architecture, she is a wonderful person with a fantastic personality. One would make a mistake not to meet this fine lady. It's guaranteed you'll have a new friend. As an African-American she adds a dimension to the tour and our country's history that will tear at your heart. I would have left out the civil rights musuem. Poor quality video and there are alot of other things to see. Bethany was very charming and very knowlegable. The anecdotes from her childhood in the area were a nice touch. I would definately use her again. TOUR GUIDE RESPONSE: Siobhan McClarin and Family: Thank you for allowing me to show you the greening of my Savannah during the St. Patrick's celebration. One for the bucket list!!! Again, thank you. Bethany is a jewel. She is well versed in everything Savannah. Her intense knowledge and history of Savannah is only surpassed by her warmth and enthusiasm. It was pleasure spending time with her. We feel very lucky to have been able to spend time with her on such short notice. She did a superb job for us. Thor Burns & Family. TOUR GUIDE RESPONSE: Carl, Ruth, Dennis & Patsy: Thank you for allowing me to show you my love of Savannah and of people. Come on back anytime. Our next tour will be a walking food tour (peach cobbler ... ha ha). Check out a Tours By Locals guide when you get to Sarasota. Travel well. You four are reflections of the friends you meet.